We can spend our entire life chasing happiness and we will never ever catch it. The pursuit of happiness is a big shiny carrot held by the ego, just a few inches from our reach. It is designed to keep us running after something in an attempt to fill a void we feel within ourselves. The problem is that even when we seem to catch it, happiness is a fleeting human emotion and is difficult to sustain. Join Global Impact Visionary Leader and gifted intuitive healer Sue Dumais and learn how to stopchasing happiness, how to quit playing the ego’s clever game of pursuit and start to practice the art of alignment with authentic joy. It is in this sweet spot where happiness arises naturally. 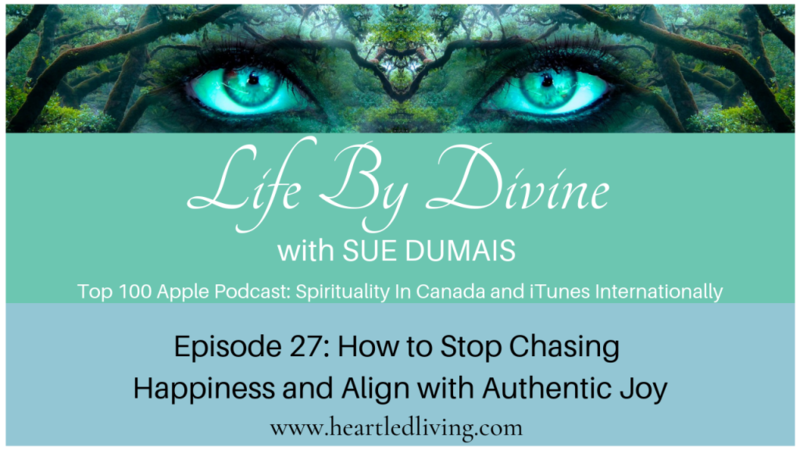 Listen to “Episode 27: How to Stop Chasing Happiness and Align with Authentic Joy” on Spreaker.